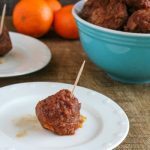 These Instant Pot Orange Glazed BBQ Meatballs are perfect for those nights when you forgot to plan for dinner and you want to serve something the kids won’t gripe about. It’s a quick and easy recipe that you can just dump right into your Instant Pot and have dinner on the table quickly. I have a handful of “cheater” meals that I always have the ingredients on hand for. They aren’t the healthiest meals, but they’re better (and cheaper) than eating out. Aside from being easy to stock, another key feature of my go-to backup meals is that they are quick and easy. Usually, we fall back on these dishes when life has been too busy to get to the store and our schedule is too chaotic to allow for meals that are time-consuming to prepare and clean up after. This is also one of my favorite easy appetizers. They’re perfect if you want to serve something hearty but still bite-sized. 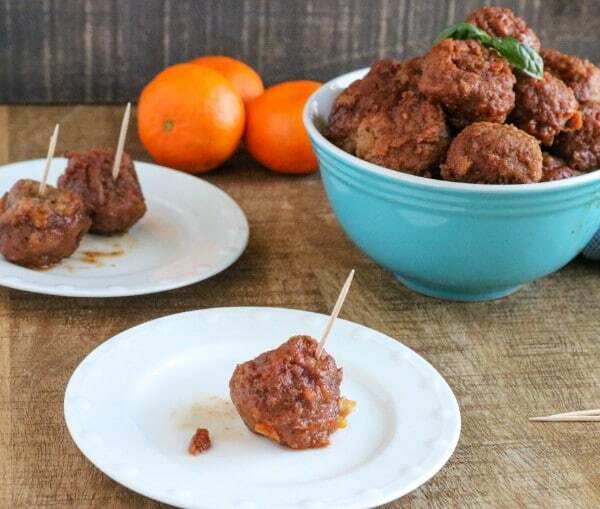 These orange glazed BBQ meatball are made with just a few simple ingredients. Other than the ingredients above, the only other thing you’ll need to make these meatballs is your Instant Pot. If you’re serving them for dinner, you can serve them over egg noodles or rice. For a vegetable, steamed carrots are excellent with these Instant Pot Orange Glazed BBQ Meatballs, as are steamed stir fry vegetables. As an appetizer, you can either keep them in your Instant Pot (set on warm) to keep them hot, or transfer them to a serving dish with a toothpick inserted in each one to make them easy to pick up. I am super visual so I can appreciate why some of you like to see pictures of what the dish looks like at each step. Sometimes, like in this recipe, it’s almost comical since there aren’t really many “steps” but I’ve done my best to capture each of them. I like to put the meatballs in first so that all of the other ingredients can melt into them as they cook. Next, you just pour each of the other ingredients in the pot over the meatballs. Now it’s time to let your Instant Pot do all the work. Select “Manual” or “Pressure Cook” (on newer models) and set the time for 6 minutes. When the time runs out and the pot beeps, move the sealing valve to venting to quick release the pressure. That’s it! 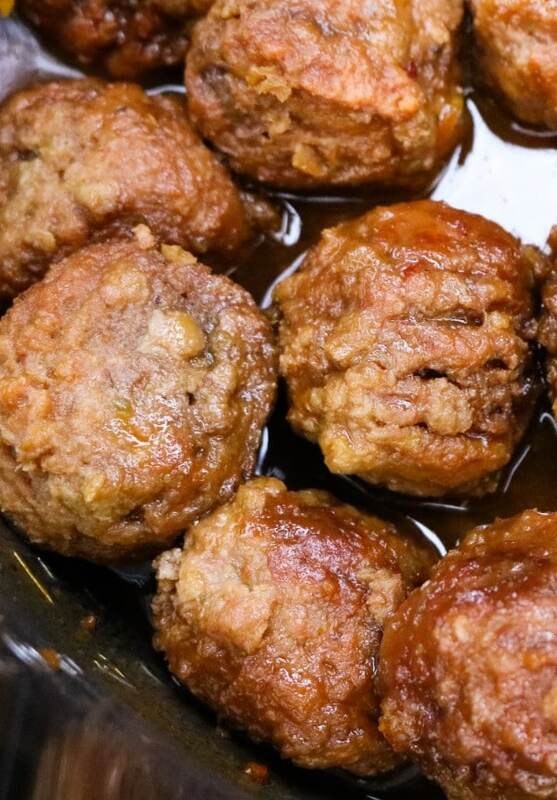 Your Instant Pot Orange Glazed BBQ Meatballs are ready! 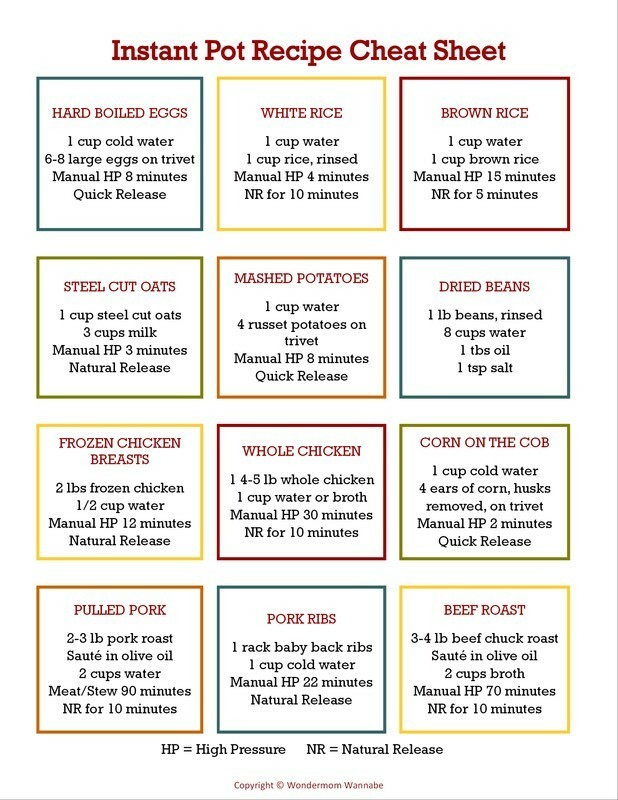 For those of you who don’t need the step-by-step photos and just want the basic recipe, here you go. Combine all ingredients in pressure cooker. Set manual pressure for 6 minutes. Quick release the pressure and serve. Makes 8 serving of 3 meatballs each. For even more recipes and ideas, visit my Instant Pot Recipes, Tips, and Resources page. Looks something new to try soon. Thanks Corinne, for sharing such an awesome recipe. OMG! This looks so good. I hope you’re doing well! Hi Corinne! Thanks for your great recipes. Question please! 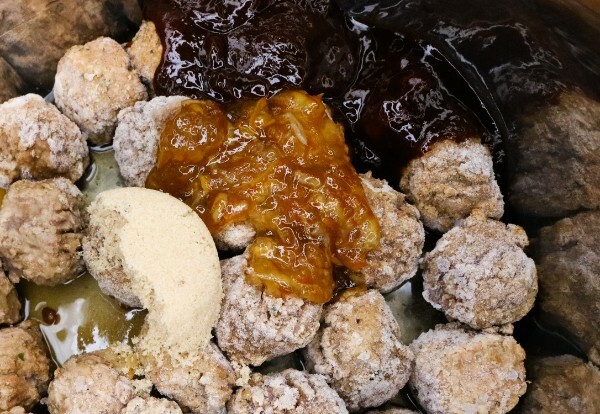 For your recipe for IP Orange Glazed BBQ meatballs — Are the meatballs cooked BEFORE you use this recipe? Or do you put them in raw (whatever meat is used), and cook for the 6 minutes only? Thanks for your time! Hi Roxine, thanks for the question. I use frozen ones which are pre-cooked. 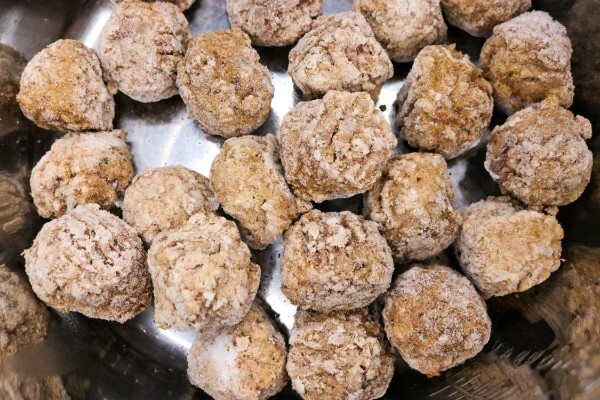 If you are making homemade meatballs, you would need to bake them first before using them in this recipe.